Adding water features to your garden can help to create an enviroment that more closely resembles nature. 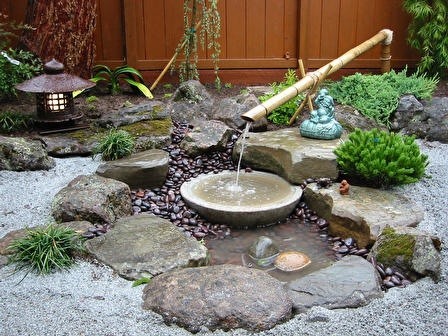 The sound of a trickling fountain can make your garden feel more peaceful and relax. Paul Tamate, a leading landscape designer working with water features and Asian-inspired garden designs in San Francisco says, "design spectacular water features as the centerpiece of gardens that serve as retreats from modern life." To create the perfect garden you will need to add the perfect water feature and this "How To" will describe the various steps you should take and considerations you should think about when choosing your pond, fountain or other water feature. 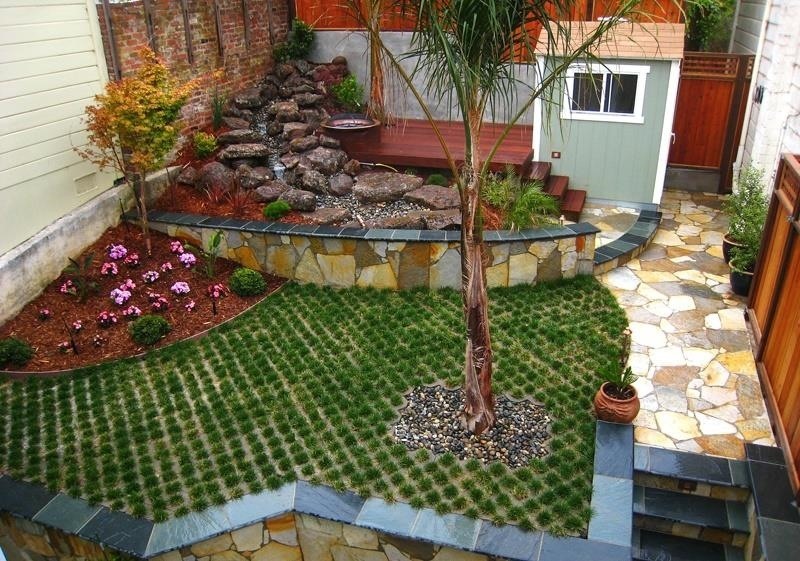 When you are adding a water feature to your garden area, you should be familiar with the space that is available. 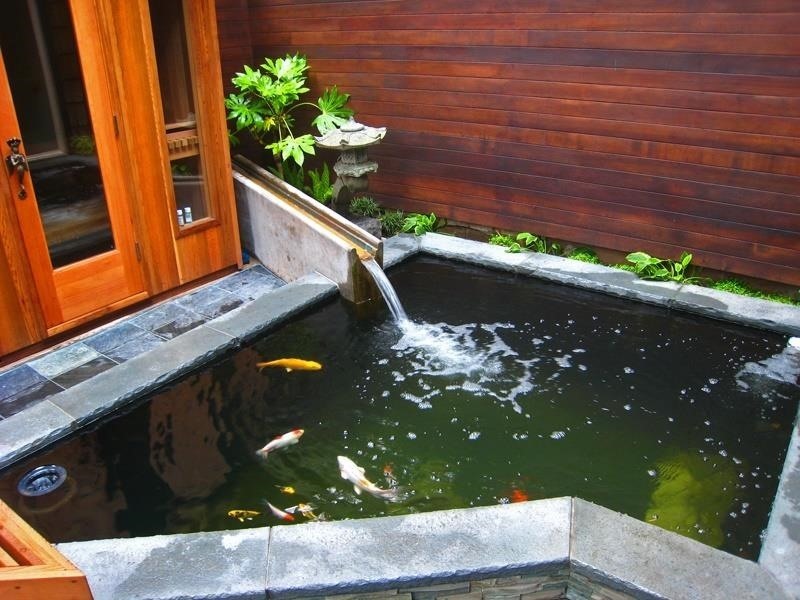 Many garden features, such as a water fountain or a Koi pond will be prefabricated and will need to fit into a specific space. Choose the location for the water feature and measure carefully to ensure that all will fit well. 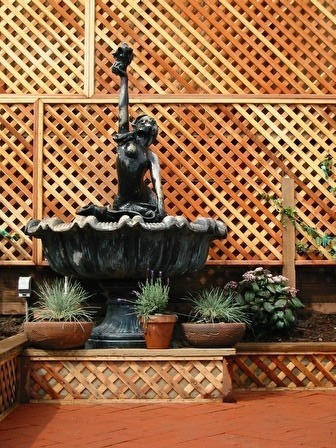 When your water feature is installed, you can extend on the idea by adding life to the area. This could either be by adding plants to the surrounding area or by including fish or other wildlife in the water feature itself. Koi ponds are extremely popular in Asian inspired landscape designs, but a wide variety of options are available, so choose one according to your area and your expertise. If you have children or if children tend to frequent the area, you would not want to have a dangerous location because of the water feature. In some areas, it may be necessary for you to block entrance to the water feature with a fence, depending upon the options that you choose. There is no doubt that your children are going to love the water feature as well. Just make sure that it is of benefit to the entire family and supervise it properly to reduce the risks that could be associated with it. By accounting for the cost of the water feature and the installation of the project, you will be certain that it fits well within your budget. Even if you're on a limited budget, there are going to be options that are available which will allow you to include such a feature to enjoy in your own garden area.